It has become a common practice to promote products and services through affiliate marketing. WordPress being most customizable CMS/blogging software; Internet Marketers, bloggers use it.Marketer puts a referral link and visitors click on it. Website owner gets some percentage when target is successfully converted. 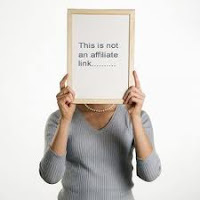 Now chew on this fact “People just don’t get over fact that IMers or bloggers make many money when they click on a link”.Anyway the solution is to cloak links and then forward them to target website. I was looking for some plugin for my new project based on Pay Per Install program.Finally found a plugin that works like a charm. You can create link from the Link Cloaking option present in LHS menu. This plugin will also show you statistics of all the Unique clicks in Daily and Monthly break-ups.